When I received my review copy of Mollie Makes: Woodland Friends, I also got the other Mollie Makes books and they are all fantastic. 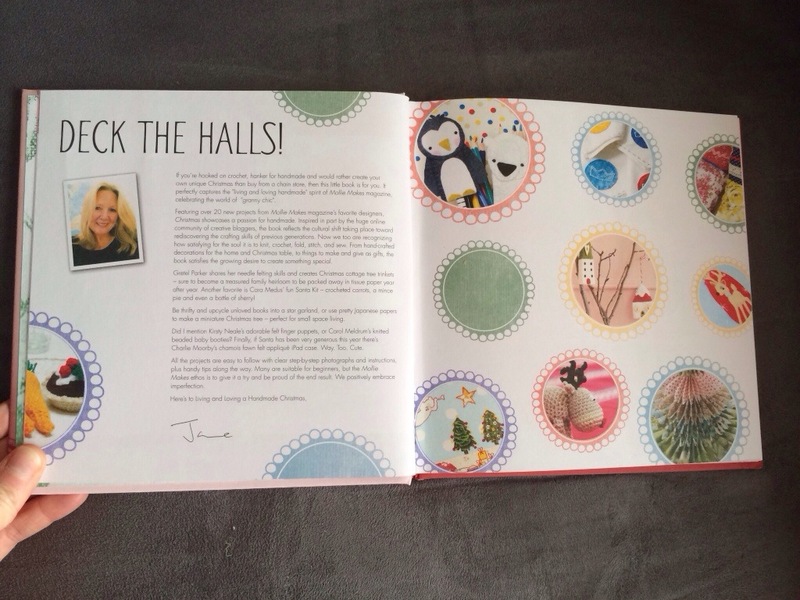 With Christmas fast approaching, I thought it was the right time to tell you about Mollie Makes: Christmas. 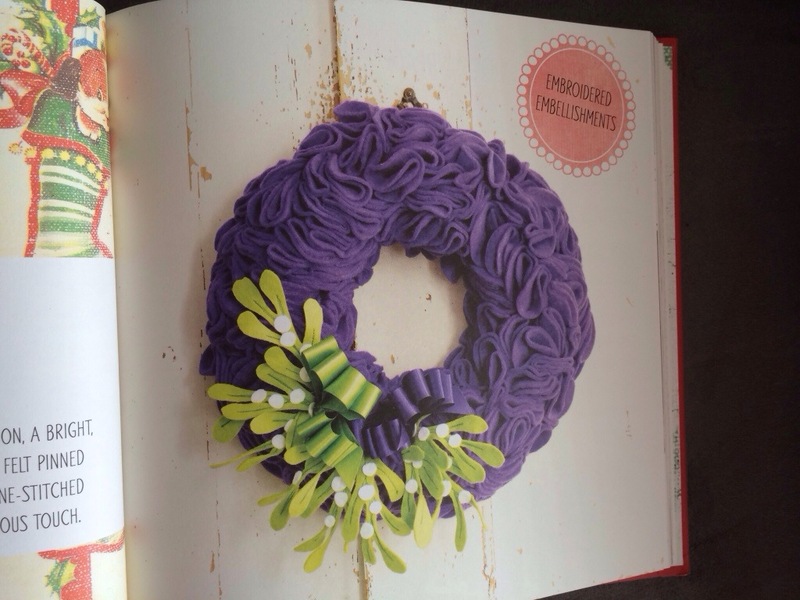 There is still plenty of time to pick up a copy and make some fun holiday crafts! Mollie Makes has a standard for excellence and the Christmas one doesn’t disappoint. The thing that always stands out to me about these books is the variety, there is a great assortment of different crafts and projects. Crochet, embroidery, paper cutting, needle felting, and more. There really is a project in here for everyone. I’ve had needle felting on the brain for awhile now, and these Christmas cottages from Gretel Parker are adorable and might be a good place to start! The instructions are very easy to follow, and include very clear photos as well, so it seems to be a great guide for even beginners like me! The lino-cut stationary by Zeena Shah is fabulous and this weekend I might make a few stamps so Evie can decorate cards and wrapping paper! 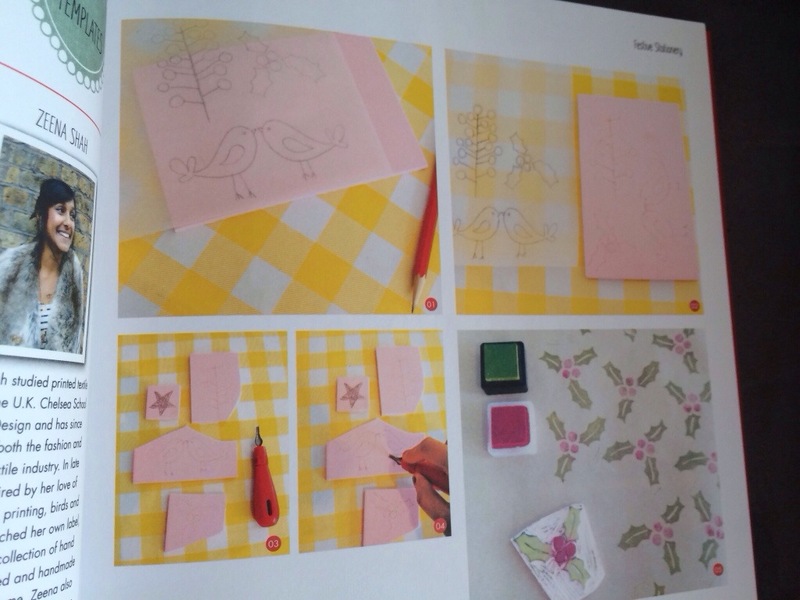 The Mollie Makes books always include the templates and patterns, so it makes it really easy to recreate your own piece. There is truly something in this book for everyone, and so many of the projects could easily be adapted so they weren’t so Christmas-y and be done all year round. The wreath is festive, but would look lovely on your door any time of year, and would look great with a different embellishment besides mistletoe. 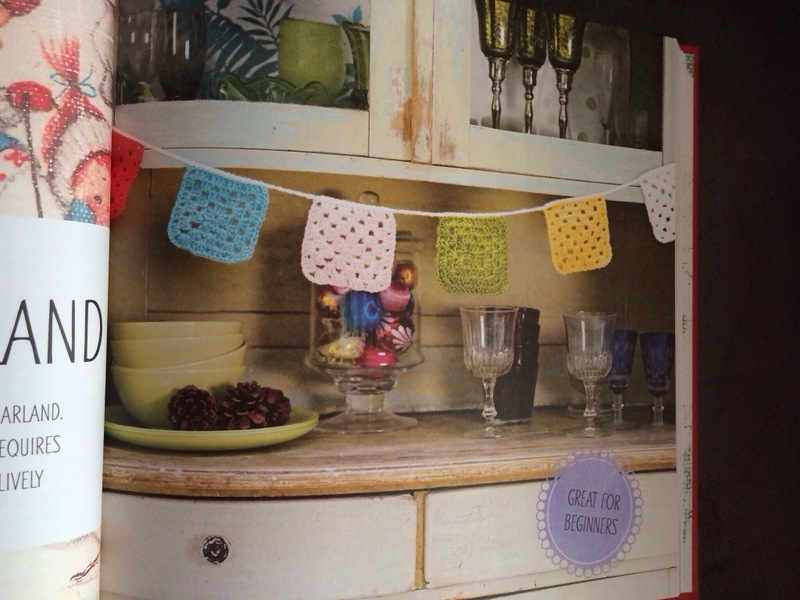 And the granny square garland would be fun to keep around for a pop of color, or would be a great decoration for a child’s room. 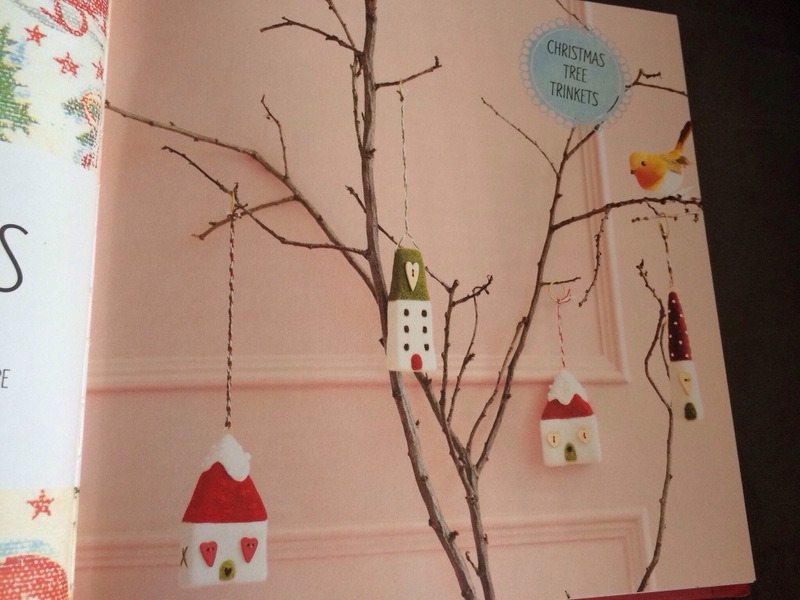 These bauble gift bags on the cover are by Mollie Johanson from Wild Olive are absolutely adorable, and I know Evie would love to have one on Christmas morning. 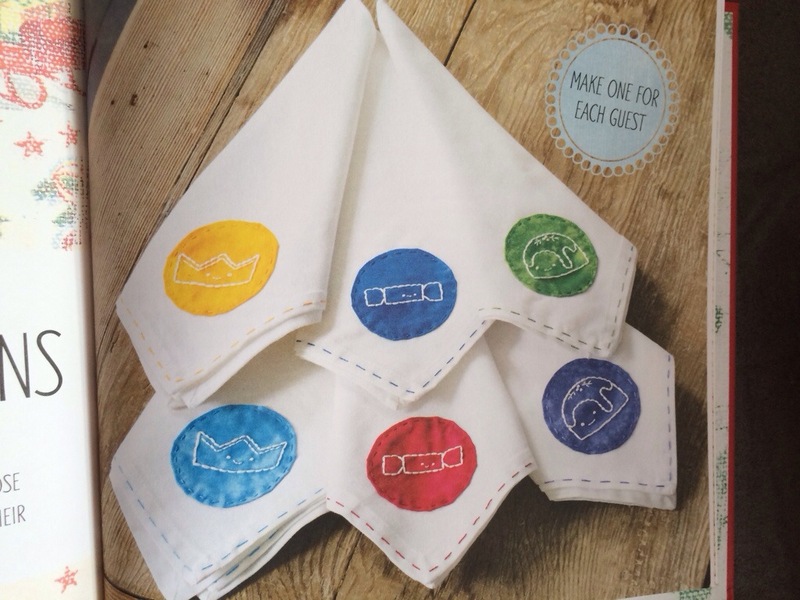 She has another pattern for cloth napkins that are equally cute and make me wants to grab some embroidery floss and get stitching! 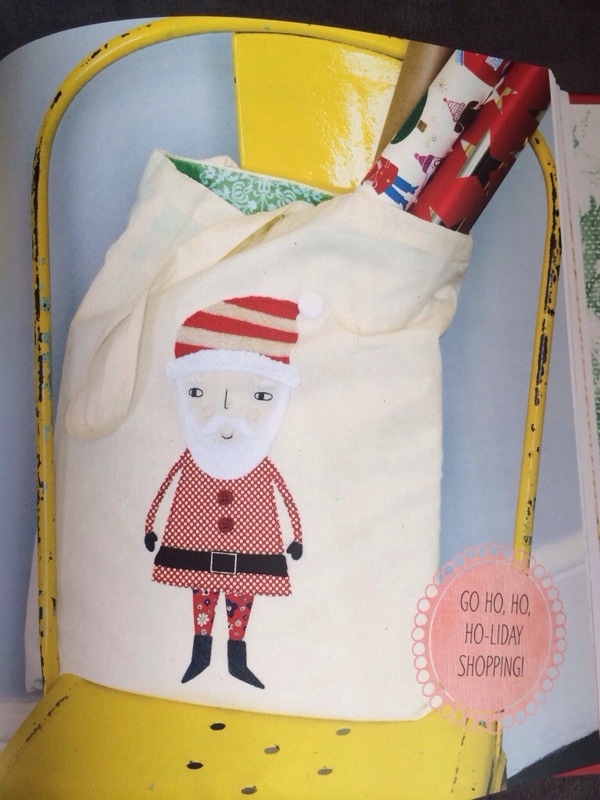 Kristy Neale has a Santa project that I am in love with too. I love her illustration style, and adding in the different fabric prints and textures really just brings him to the next level! Who wouldn’t want to do their Christmas shopping with this Santa by their side? 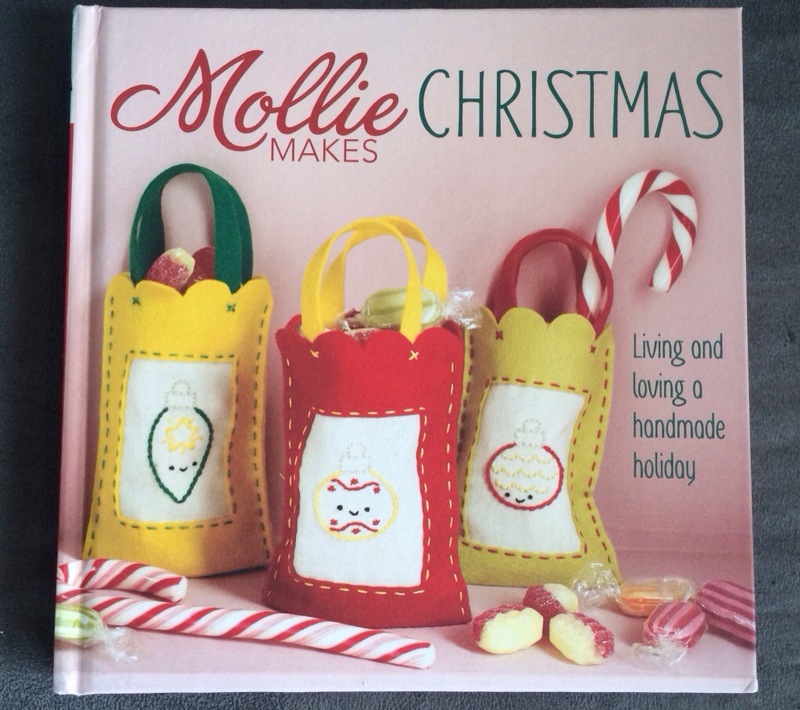 Mollie Makes: Christmas is published by Interweave and available at Amazon.